All my work is influenced by the natural world, from orchids at Kew to pebbles on a beach. The intricate patterns and textures are represented in my decoration. 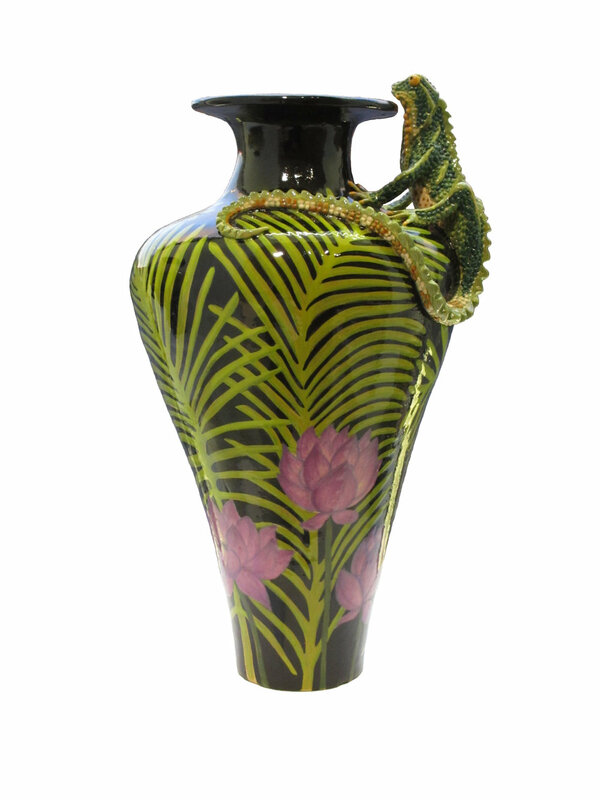 My work is hand- crafted and individually painted using glazes and oxides and includes spherical planters with organic textures and a range of black ‘tropical’ vases and jars with detailed images of plants. 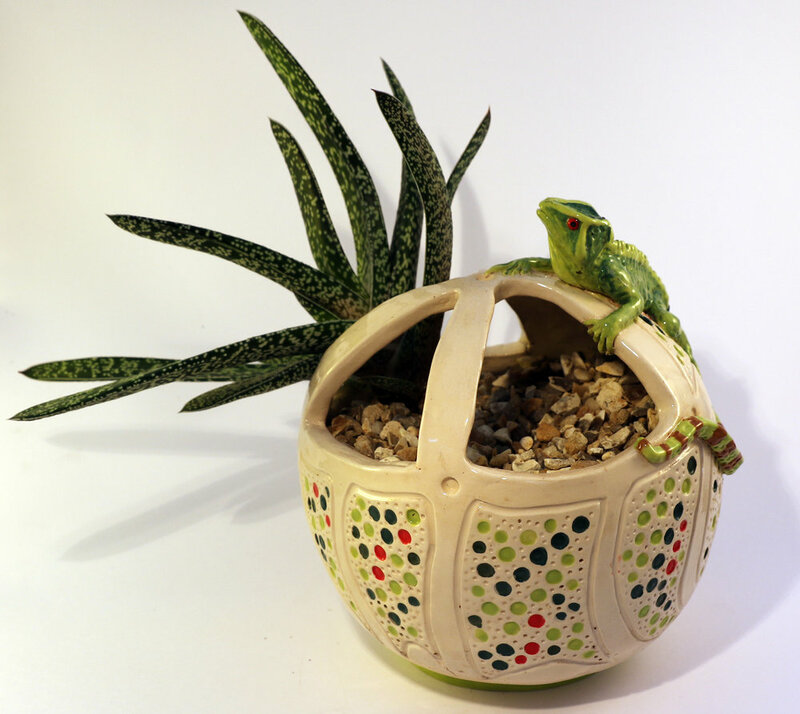 Sculpted lizards, frogs, and fish also appear in much of my work.